Click here to visit District Camera’s website. District Camera has the latest equipment or services available at really great prices. Whether you want the hottest new camera, a 30×40 poster-sized print, or even your old family movies transferred to DVD, District Camera has the technology and the know-how to make it happen. District Camera is a 100% full Authorized USA Dealer of everything they sell. 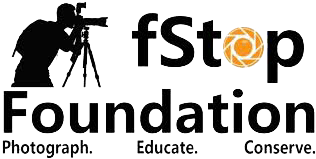 Whether you live here in the Washington DC Area, or you live on the other side of the country or even the world, District Camera can serve all of your photographic needs. Road Runner Photography Tours believes that everyone can continue to learn, whether that means enhancing photography skills and post processing techniques or embarking on new skills such as videography or portrait photography. RRPT’s website has a Learning section that offers some great education opportunities (many of them free), from books to videos. We also offer private instruction. 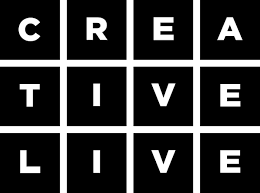 But we can’t cover every topic folks may be looking for, so we have also partnered with CreativeLive. A great resource for learning. CreativeLive provides video classes on all sorts of topics, including these classes geared for new photographers! Here at Road Runner we believe in lifelong learning. One way we stay up to date with not only Photoshop and Lightroom, but photography in general is through our membership with KelbyOne. As a member you are eligible for discounts on events like Photoshop World, but you have access to an enormous library of online training as well as digital magazines on Lightroom and Photoshop. Click here to visit Life Pixel’s website. Infrared photography will expand any photographer’s photographic opportunities! No longer will hot midday sun be a detriment to getting out and shooting landscapes. Infrared conversion will encourage you to explore the amazing world of infrared light. Life Pixel offers a number of different infrared conversion options. Check out their website, watch their informational video, and pick the conversion that fits your style! Click here to visit Hunt’s website. If you prefer the convenience of ordering and having gear shipped to your home we recommend Hunt’s Photo and Video. Please email Alan Samiljan at asamiljan (at) wbhunt.com and tell him that Road Runner sent you! To check out Hunt’s website click here.